My sister in law taught me her secret to AMAZING fried rice: WHITE PEPPER! It really makes all the difference! 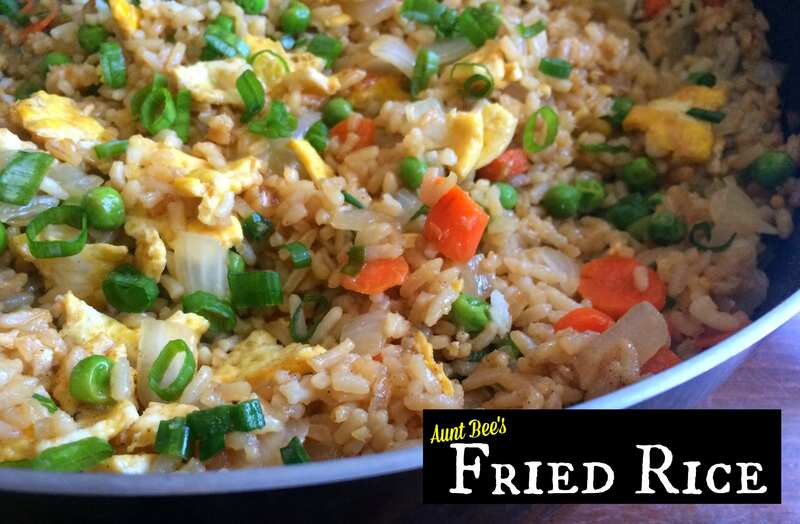 We are obsessed with making all of our favorite Chinese food recipes at home, and we just about ALWAYS serve this fried rice alongside. In a small bowl, beat the eggs with the water. Melt bacon grease in a large skillet over medium heat. Add eggs and leave flat for about 2 minutes, or until cooked through. You don’t want to mess with them. After they have cooked for 2 minutes, I flip over one time to brown the other side slightly. Yes, it gets a little messy. Remove egg from pan, set aside. Heat oil in same skillet. Add the carrots and onions and saute for about 4 minutes, stirring every minute. Then add the chopped garlic and ginger. Stirring contantly for 1-2 more minutes. Add in the cold rice, soy sauce, sesame oil, white pepper, and frozen peas, stir-fry tossing for about 5 minutes. Stir in egg and green onion. We LOVE homemade fried rice!! This looks AWESOME!